Our comic book experts return this week for another round of pop culture picks from the world of graphic novels. 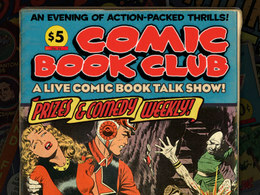 Alex Zalben is a writer and a host of the show Comic Book Club. Brian Heater is a journalist and Editor-in-Chief of The Daily Cross Hatch, which highlights alternative comics. Alex recommends Brandon Graham's inventively absurd series King City, while Brian's pick, Goliath, by Tom Gauld, tells the tale of David and Goliath from the big guy's point of view. 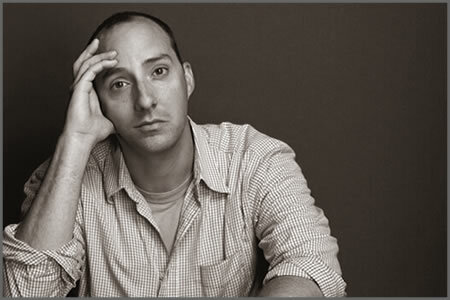 Tony Hale is a comic actor best known to audiences as the precocious man-child Buster Bluth, from the cult hit FOX sitcom Arrested Development, but Hale had been working in commercials and doing theatre in New York long before his big break. His latest role sees him playing "body man" (think: bag-boy) to Julia Louis-Dreyfus's Vice President of the United States on the new HBO comedy series Veep, from the mind of brilliant British satirist Armando Iannucci. Tony sits down with us to discuss the humor of the behind-the-scenes world of politics, how he famously sold a lot Volkswagons to the tune of Styx's "Mr. Roboto", and returning to the role of Buster when Arrested Development picks up again later this year for a fourth season. Veep airs Sunday nights at 10PM on HBO. We here at Bullseye feel a moral obligation as a public radio show to provide you with some news content, so to get you caught up on all the top stories you've never heard of (as they're entirely made up), here's the latest from our fake news team: the San Francisco-based sketch comedy group Kasper Hauser. You can catch Kasper Hauser live later this week, performing alongside the honorable judge John Hodgman at Cobb's Comedy Club in San Francisco on Sunday, April 29th. Nicholas Stoller is a writer and director of both film and television, whose breakout hit was the romantic comedy Forgetting Sarah Marshall. Though his other film credits include Get Him To The Greek and 2011's The Muppets, Stoller has established himself as something of a master of the romance movie, as his films strike a delicate balance between uproarious comedy and real heartfelt character moments. His latest film The Five-Year Engagement finds him re-teaming with frequent collaborator Jason Segel and captures much of the same tone that made their first film together such a success. Nick joins us to discuss the problems plaguing the romantic comedy genre, what goes into making a comedy set piece really work, and what sets Jason Segel apart as a comic actor. The Five-Year Engagement opens in theaters this Friday, April 27th. For the Outshot this week, Jesse examines the often superficial fashion world and finds a stunningly sincere and emotional portrait of a man. The man is New York Times fashion photographer Bill Cunningham, and the film is Richard Press's biographical documentary Bill Cunningham New York. Seen a documentary yourself that deserves a few more eyes on it? Give it some love by visiting the MaxFun forum and picking your own Outshot.